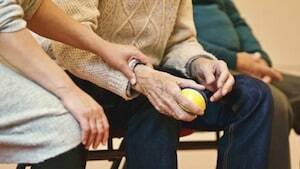 WAS A LOVE ONE NEGLECTED OR ABUSED IN A NY NURSING HOME? If you have an elderly or disabled loved one in a nursing home or assisted living facility, the thought of that person falling victim to nursing home abuse is horrifying. Unfortunately, this kind of abuse does occur. At the NYC law firm of Gair, Gair, Conason, Rubinowitz, Bloom, Hershenhorn, Steigman & Mackauf, our attorneys have years of experience litigating personal injury and wrongful death claims on behalf of clients whose loved ones were harmed by nursing home abuse or neglect in New York or in New Jersey. One of the most common problem encountered as the result of nursing home negligence are bedsores. They occur as the result of failure of the nursing home staff to properly turn the patients so they are not constantly lying on their back. Bedsores usually develop in the area of the lower spine. Depending on their severity, bedsores can be stage 1 to 4. Once a bedsore progresses to stage 4, it becomes very difficult to treat. They are also extremely painful and can lead to disastrous problems for a patient. If not recognized and treated promptly, bedsores can result in systemic infection and in the worst case scenario can lead to death. HOW TO DETECT AND PREVENT ELDERLY ABUSE? Hundreds of thousands of New York residents now live in nursing homes or will live in nursing homes at some point in their lives. Nursing homes and assisted living facilities should be places where an elderly or disabled family member goes to enjoy a life of rest, comfort and safety.Many nursing homes in New York are owned and operated by companies or individuals who are motivated by profits rather than the needs of their residents. All too often, these facilities are staffed by individuals who lack proper training and/or do not have the best interests of your loved one in mind. If you believe that an elderly or a disable loved one was neglected or abused please contact our firm. History of neglect at VA nursing homes uncovered For years, the VA has been hiding statistics on the quality of care at its nursing homes because it didn't want the public to know how bad it was.